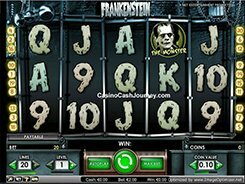 Created in cooperation with Universal Studios, The Invisible Man slot is based on the 1933 film of the same name. Capturing the essence of the plot, the game features some of the main characters from the film, including Flora Granley, Arthur Kemp, Dr Granley, Mr Hall and Mrs Hall. Wins are paid out for matching symbols that appear from left to right AND right to left. 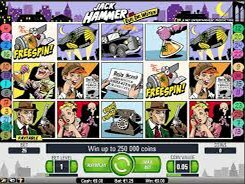 The slot has 5 reels, 20 fixed paylines and the maximum bet of $100 per spin. 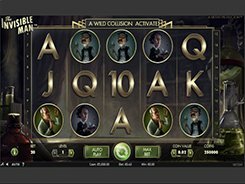 There are two different wild symbols, a Police Wild and Griffin Wild, that both substitute for other symbols and trigger 10 free spins if landed on reels 1 and 5 at a time. 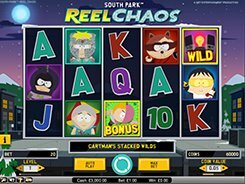 During the free spins you will see two meters above the reels. 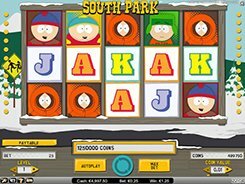 When either wild appears on the reels, it adds to the corresponding meter, and filling eight spaces on either meter activates a Police Spins feature or a Griffin’s Rage Bonus Game. 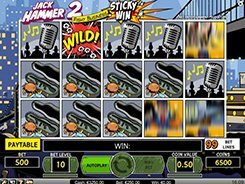 The two largest cash prizes you can win in a base game are $2500 and $2000, but in various bonus rounds you are in with the chance of winning much more money.